Hollywood dreams of the future often involve medicine and how we will “look inside” the human body. Modern medicine continues to evolve and we are growing closer to realizing this dream. Most of our tools that allow us to “look inside” the body give us a relatively large area that is imaged, and the equipment itself is very large and costly. A newer technology has arrived to help in the field of interventional cardiology. St. Jude Medical’s Ilumien Optis © system using OCT, or Optical Coherence Tomography, allows us to look inside the heart arteries. 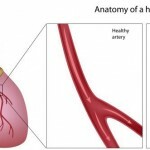 How do you get inside the heart arteries? When we work inside the heart arteries, it is typically referred to as a heart catheterization. Small, specialized wires, known as guidewires, are advanced to the area inside the heart arteries. This is done for areas that look suspicious after taking a picture with X-Ray dye. This guidewire allows use of lots of different equipment such as balloons, stents, bioresorbable vascular scaffolds, and specialized imaging such as OCT.
Why do we need to look inside the heart arteries? Cardiology as with most of modern medicine is continually evolving. A large part of this evolution centers around what is best for our patients, or “best practice.” During a heart catheterization, the heart arteries are evaluated for blockages or narrowing. Sometimes these narrowings are not as well defined or prominent as others. Sometimes the arteries are difficult to visualize because of the patient’s anatomy. In these and other cases, specialized allied imaging is needed. Optical coherence tomography, or OCT, is a “picture” look inside the heart arteries. OCT uses near-infrared light to image the coronary arteries from the inside out. A small OCT imaging catheter “rides” over a guidewire to the artery in question. Once inside the heart artery, the catheter spins inside itself at high speed. X-Ray dye is injected to both take another angiogram as well as to clear blood from the vessel. The system takes multiple frames, or “pictures,” as the catheter rotates and moves backwards. After the imaging “run” is completed, the system combines all of the “pictures” together. This forms both 2D and 3D images. Once we have the images from a look inside the heart arteries, we can evaluate many things. First, we look for narrowing of the artery itself. If a narrowing is found, the OCT imaging helps us measure how large of a stent can safely be used inside the heart artery. Second, the imaging helps shows us what the narrowing is made of, plaque or clot. OCT may also used after a stent is placed. The imaging can show us how well the stent is apposed, or expanded, into the heart artery and if we need to expand it any further. 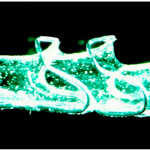 The newer “dissolving” stents, also called bioresorbable vascular scaffolds, don’t show up on X-Ray as they are not made of metal. OCT allows us to see the scaffold and expand it more if needed. These scaffolds are not nearly as visible with other types of allied imaging. The newest version of the St. Jude Medical OCT system also gives us a 3-dimensional reconstructed look inside the heart arteries. This 3D imaging helps give us the full “big picture” of the artery. 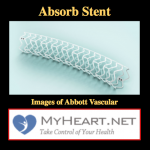 With it we can see the location of smaller branch arteries, how well the stent is apposed or expanded, as well as any narrowing that may remain. We can finally “fly through” the vessel to truly take a look inside the heart arteries. Ive had PE’s before, but now the cardiologist feels I may have narrowed arteries. I’m also diabetic and diagnosed with Gitilmens syndrome which causes potassium loss and has to be replaced. I’m hoping this will not delay my heart cath procedure that I’m having in six days. Four days ago I received two stents in my right desending coronary artery. I am a very healthy 60 year old male with no other heart issues. Previous chest pain was perceived as indigestion or muscle pain. Please, if you suspect any chest pain, don’t blow it off! See a cardiologist immediately! Glad you were able to have your coronary disease diagnosed and treated! I hope your recovery continues well. Thank you for the comment!